Nope, the new iPad will just be called “iPad.” That’s not confusing at all. To make matters worse, it seems that Apple will continue to sell the older model iPad, the iPad 2. Except now the iPad 2 will see a $100 price drop (hooray! ), bringing it down to $399 for the 16 GB Wi-Fi only model. The 3G version will be $529. 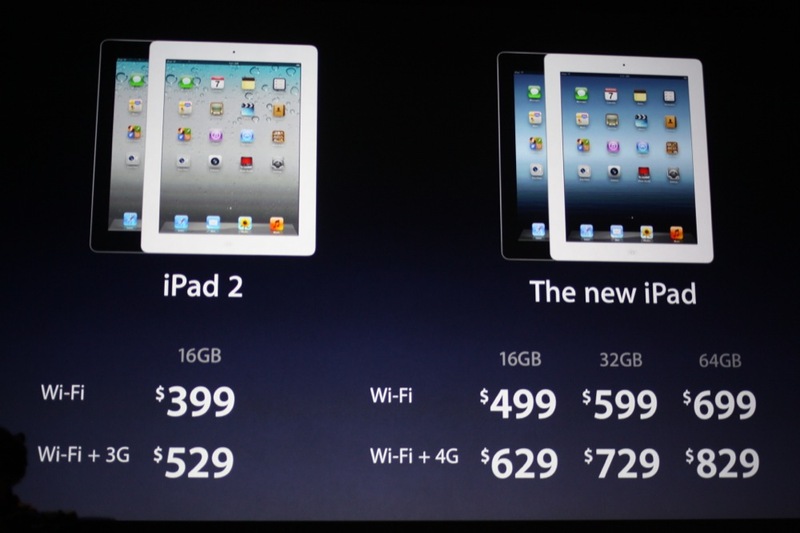 Meanwhile, the new iPad starts at $499 for the 16 GB Wi-Fi and $629 for the 3G version. Hey, do you have the new iPad? No, it’s just called the iPad. So you have the first one? In other news, iPad, iPad, iPad, iPad.